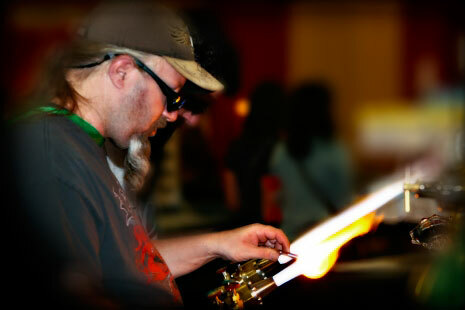 I just got back from Las Vegas and the annual Glass Craft and Bead Expo show. I’ve been there many times but this was the first visit where I was able to really walk around and around and around and check everything out. And I was able to meet people I write about and businesses with goodies I rave about! So cool!! In the next week or so I’ll have posts of the many businesses and products I saw as well as bead makers and glass workers. It was a super fun time and if yo;ve never gone I highly recommend it. In fact, there’s one day left so if you are in the Las Vegas area head over to the South Point Hotel and Casino and have some glasstastic fun! !